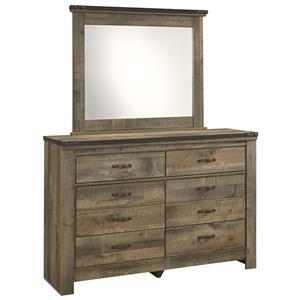 This seven drawer dresser and mirror set has both the style and functionality to keep your bedroom a relaxing retreat for years to come. Not only are the drawers tinted and sealed for dust proofing, but the two side top drawers are felt-lined. Its top center drawer is a drop down drawer with wire management, allowing it to seamlessly conceal your entertainment system. 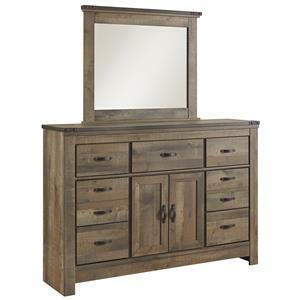 The hardware has a weathered bronze finish that complements the natural look of the dresser's own finish. 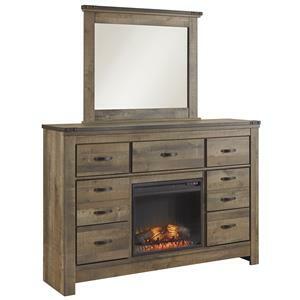 The Paxton Place Seven Drawer Dresser and Mirror Set with Felt-Lined Top Drawers by Magnussen Home at Beck's Furniture in the Sacramento, Rancho Cordova, Roseville, California area. Product availability may vary. Contact us for the most current availability on this product. 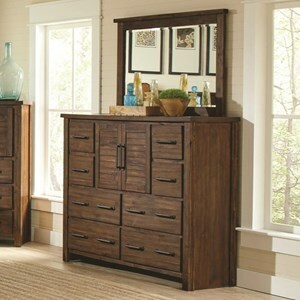 This bedroom collection is designed to bring a relaxed and casual look to your bedroom. Quality construction and features such as dust proof drawers ensure these pieces are beautiful and functional for years to come. The Paxton Place collection is a great option if you are looking for Casual furniture in the Sacramento, Rancho Cordova, Roseville, California area. 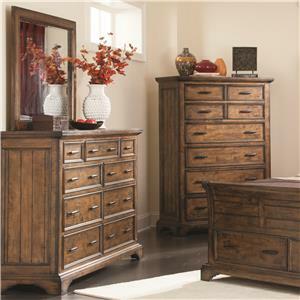 Browse other items in the Paxton Place collection from Beck's Furniture in the Sacramento, Rancho Cordova, Roseville, California area.